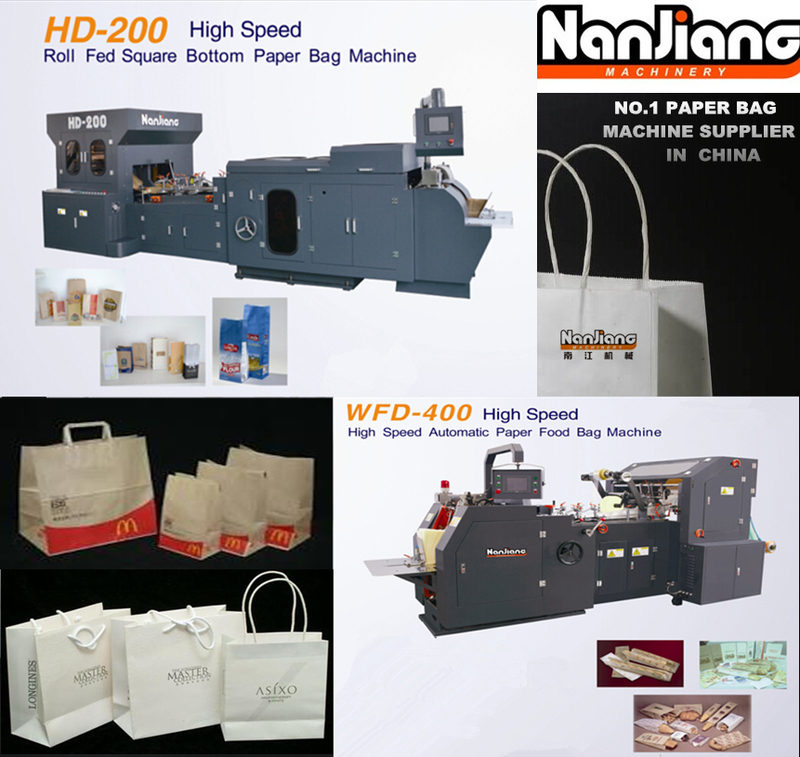 HD-200/330/430-1/460/550 Roll Fed Square / HD-180/340/430/450 Sheet fed Series paper bag machines are built to make shopping bags or food bags with paper rolls/sheets. The machine features a continuous function of automatic paper feeding, gluing, creasing, bottom-sticking,forming and final bag output. It is ideal equipments for making eco-friendly paper bag for Bakery, grocery, sugar/ flour bags or shopping bags.